The question is this: Is Marl Hill a hill? An innocuous rise curving up to 956 feet, this pathetic hump brings you to one of the more sublime rooftops of the Bowland Badlands. Why have we even bothered to list it? The answer lies in the fact that it follows Hall Hill with only the minimum of rest between, and together they pack in a crunchy 696 feet of climbing. Oucherooni! What’s more it’s long and draggy, but appears flattish. You’ll be tempted to turn on the power on the ascent, and when you get to the top that fatal question will start to nudge in at the edge of your consciousness – “What am I doing here again?” You’ll have started to suffer without even noticing it. Who cares! 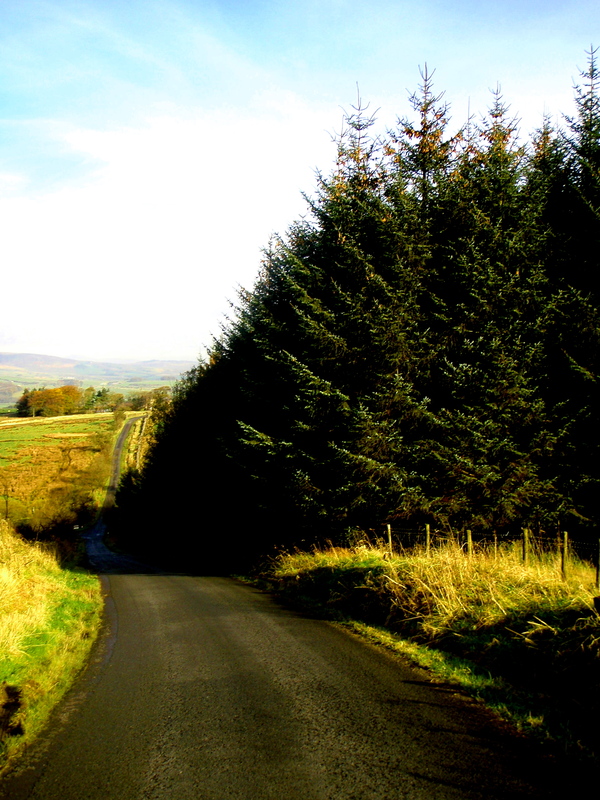 Live for the moment and enjoy the fantastic descent down into the verdant heart of BowlandForest. Turning the pedals won’t get much better than this……give it some biscuits and roll on! Down, down, down you go to Easington Crossroads, the black, tarmacadam crucifix lying in the dark heart of the badlands. Take note of this spot as you scoot through with your tail up. You’ll be back later and nailed by your thighs to the plank of pain as you grind grimly up the “Big Wad”. Posted on February 18, 2013, in Bowland Badass Climbs and tagged bowland, Bowland Badass, Bowland Forest, Climbs, Cycling, Garmin, great easington rd climb, Marl Hill, segment, Strava. Bookmark the permalink. Leave a comment.